'Giving Tuesday' finds a surprising headline. I have never been a fan of pressured giving. 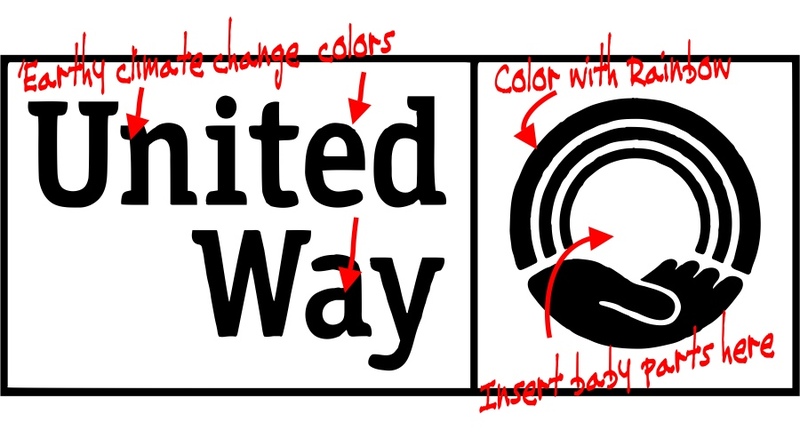 As an employee of UPS in Traverse City a couple of decades ago, I attended the Friday morning Charity of the week sessions where United Way sent representatives to talk about the good it was doing with our pulled-from-the-paycheck donations. We stood around for a half hour (paid by UPS) listening to the mandatory presentation on why we should continue giving. I Didn’t much care for that; I was there to work. “One man said he was called upon by higher- and higher-ups, including a weekend meeting with human resources types, to explain why he would not give. Soon thereafter, he lost his job. He said he can’t prove it was because he did not donate, but he thinks that was a major factor. Another said his organization sent a district-wide e-mail, asking why he did not give. A woman said her company gives everyone a day off if everybody in the office donates at least $10. “I’ve seen people pay for others, just to get the day off,” she said. “I used to fight it, but now I just think about my day off and grin and bear it.” Talk about pressure tactics. Are you or I bad people if we feel this way? Truly, I believe that will be sorted out appropriately after we pass. I am a Christian, and will personally tithe and do good works, but God’s will has many facets and callings. We willingly provide to those in need, or not. Consequence in this world for not padding the charity bucket is hardly the fear we should have. What if the ‘giving’ is promoting an evil which is quite contrary to our spiritual goals? What if by giving, we support the greater tragedy of advocating murder of innocents while we comfort ourselves for our ‘Christian-like’ generosity? What if we don’t, or didn’t know? A local auto dealership family has figured out what many of us have known for years; that the one-stop charity business of the United way has a dark side to its mission. The organization that has done its best to mimic the government welfare model also uses misguided philanthropy to fund bad things as well! “Bill Marsh Jr., who operates the business with brothers Mike and Jamie, tells The Ticker this is solely a family decision to opt out of the workplace giving campaign it has conducted for 10 years on behalf of the United Way. The program allows employees to donate via a payroll deduction and encourages those who may not donate otherwise to do so. Marsh says about half of the company’s 275 employees were enrolled in the program. No shame in recognizing the error, if you correct it (as you did) Bill. “But for Marsh and his brothers that is beside the point. I have pointed that out before as well. Grand Traverse County Commissioners in 2012, were supposed to pass through grant requests made to the local tribe as a part of a bizarre revenue sharing formula agreement. Multiple charities and agencies vied for money from the gaming proceeds under a “2 percent sharing plan.” We would generally approve, and rubber stamp the process. Bill Marsh and his family are spot on. They are standing for their values. They are not hiding behind their business concerns once confronted with the truth. It takes a certain courage to put principle on display in such a significant manner. They will now most certainly endure a form of ‘charity shaming’ that comes from such withdrawals of participation. However, conscience is a valuable part of who we are. When the truth of what we participate is revealed, and begs us to question our participation, it ought not be too difficult to make the right choices. Protecting the unborn by acknowledging, and refusing to fund the institutions that promote their demise is only reasonable. While the recent ‘Giving Tuesday’ movement reveals a lot of hands outstretched for endless causes and missions, we should observe one caveat. Not participating in some of them might be the most charitable thing to do. Back in the 70's, while in the Pontiac area, United Way would put up a billboard Thermoneymeter showing how the town was giving. We could all pat ourselves on the back as the "mercury" rose. Until GM went on strike. I recall that the strike commenced a couple of hours into a shift--which coincidentally, was the first day of the pay period. That paycheck--we laughed and framed it--by the time taxes, union dues, and the UAW "donation" were taken out the paycheck was one penny. Thing is, there wasn't one United Way Program useful to us, and youda thunk that this payroll deduction would have been waived during this period. And the union routinely forced its members to "give" and failure to do so, resulted in harassment and sanctions. From then on, the donation by payroll deduction to the UW was one penny--52 cents a year. We all need to take a real good look at where we donate our money. As for me, my favorite charity has always been the Salvation Army for the reason that more than 90% of donations are wisely used in a charitable manner in the local community where the donations are made. If you ever need them, whether you've donated or not, they are there to help. Throw some pennies into their red buckets when you see them this Christmas Season.